We are involved in offering an exclusive range of SS Locks and Blocks which are known for its high tensile strength. These are available in diverse specifications to meet specific demands of our esteemed clients. Our range is available in customized solution to modify our range according to the specified standards. 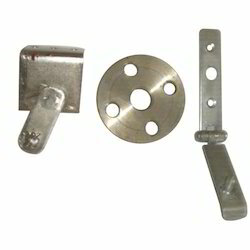 We offer SS Seat Lock and Air Freshener, SS Block, SS Forged Flange & Seat Lock and SS Air Freshener and SS Lock. Our SS Forged Flange & Seat Lock which is manufactured using best quality stainless steel to offer an exclusive range. These are known for durability even in long run. These are known for their security purposes even in long run. Our precision engineered range is manufactured under the guidance of our valued professionals to offer an exclusive range. We offer an exclusive range of SS Seat Lock and Air Freshener. These are manufactured using premium quality raw material to ensure an outstanding range of products to our clients. Our range is popular for its dimensional accuracy, best performance and durability. Our precision engineered range is manufactured under the guidance of our valued professionals to offer an exclusive range. 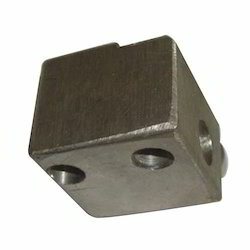 Our premium range of SS Block is widely known for its corrosion resistance and tensile strength. Our range of products includes dual magnetization yoke as well as non destructive testing instrument. These are popular for its outstanding features as best performance, durability as well as reliability. Our range is available in different designs, sizes as per the specifications of our valued clients. These are easy to operate as well. We bring before you an exclusive range of SS Block 2 which is manufactured using die cast housings and superior quality stainless steel. These are designed as per the specifications of our esteemed clients. Our range is checked at frequent intervals to offer a reliable range with best performance and easy operation. We offer them at affordable rates to offer an exclusive range. Our precision engineered range is manufactured under the guidance of our valued professionals to offer an exclusive range. 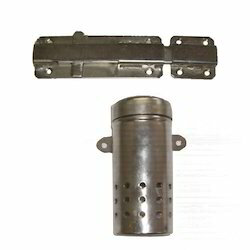 Our premium range of SS Air Freshener and SS Lock is widely known for its corrosion resistance and tensile strength. Our range is available in different specifications and that to at reasonable rates. These are known for their sturdy construction which ensures long service life even in long run. 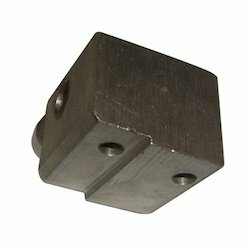 These are made in conformation with specified industrial norms. These give optimal performance even in long run. 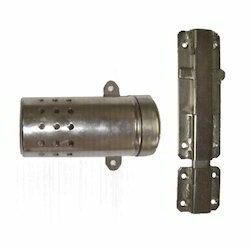 Looking for Stainless Steel Locks And Blocks ?